Any climbers around here? 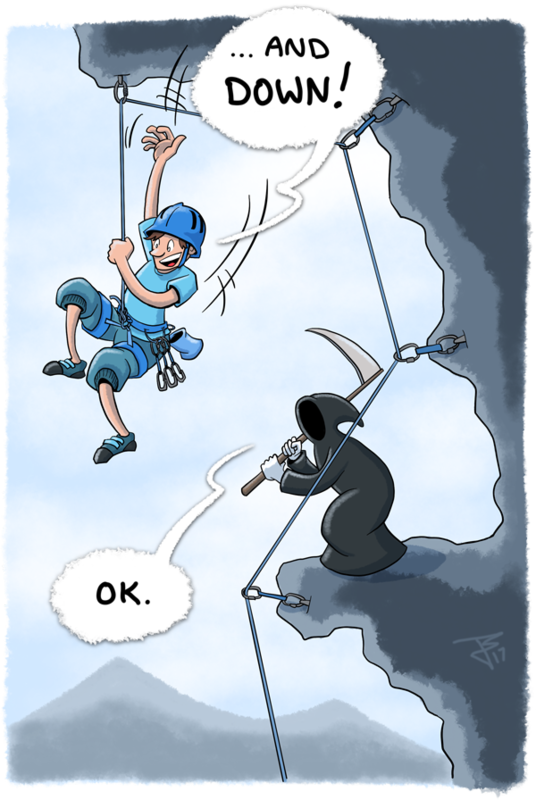 What do you yell when you’re at the top of a route and your belayer is supposed to let you down? In German, it’s a pun because we say something like “off!”. So please correct me if “down” is the wrong phrase.